Owner periodically experienced Sudden RPM Engine Racing Problems with his 2001 RAV 4 usually when stopped at a traffic light or stop sign with foot correctly placed on brake pedal - while engine idling. Owner reported receiving notification card (#SSC601) entitled "A Special Service Campaign" sent by Toyota Motor Co. instructing that his ECM unit be "reprogrammed" with new "Logic" (their words) as instructed. Owner had RAV 4 serviced as requested, however RPM problem persisted, occasionally emitting Engine Diagnostic Light. Repeated servicing of RAV 4, the RPM racing occurrences were mentioned to Toyota Service Center, however tech/mechanics unable to locate problem. Sent letter to the President of Toyota Motor Co. back in February 23, 2010 about recurring check engine diagnostic light. Received a letter from Customer Relations dated March o4 2010 and called Customer Relations, as instructed in the letter and L/M. In the interim, Owner received another notification from the Toyota Motor Company, this time in a detailed two page letter form Entitled ZTL - Certain 2001 through 2003 Model Year RAV 4 vehicles which specifically listed owner's VIN # in the header of the letter. The letter stated that the warranty on the owner's RAV 4 would be extended for150,000 miles or ten years for a "harsh shift condition" that would only require the ECM to be REPLACED and if needed, replacement of the Automatic Transaxle unit. However, this servicing and replacement would only be implemented with the following specific codes: P0750, P0753,P0755, P0758, or P1760. Owner sent letter to Toyota Motor Co. on August 27, 2010 with receipts from Toyota Service Center regarding engine light problem and recurring RPM engine racing problem. Request for reimbursement was denied in a response letter dated November 1, 2010 from Toyota regarding "not meeting criteria under Csp 01-03 my Rav 4 Transaxle Ecm Warranty Enhancement". Fast Forward: RPM racing problem has reoccurred, had to shift to P-Park to stop RPM racing wildly. In June 2018 had transmission fluid and oil changed w new filters, RPM problem seemed to subside. In February 2019, while coming to complete stop at congested T/L intersection, owner reports sudden RPM/engine racing wildly causing SUA (Sudden Unintended Acceleration) RPM/Engine jerking forward while owner applies more brake /pedal pressure - force of sudden RPM's fast acceleration with combination of RAV 4's 4WD traction/force and foot on brakes still moves RAV into rear end collision. Owner quickly shifts to P-Park. Damage occurred to front of owners RAV 4 and back of SUV in front of RAV 4. Police Report filed and Owner immediately reported incident to Toyota Motor Company. A case number was filed with the Toyota Company and a third party Engineer/Inspector was dispatched by Toyota Motor Company to examine RAV 4 and download EDR and other devices regarding the Sudden Unintended Acceleration with the strange sporadic re-occurring RPM /Shifting problem. Owner is awaiting response from Toyota to determine cause of mechanical or electrical (ECM) malfunction/problem causing acceleration and accident and reimbursement determination for car damages with good faith extension of warranty to cover parts and labor for replacement of malfunction ECM Unit and/or Transaxle replacement. 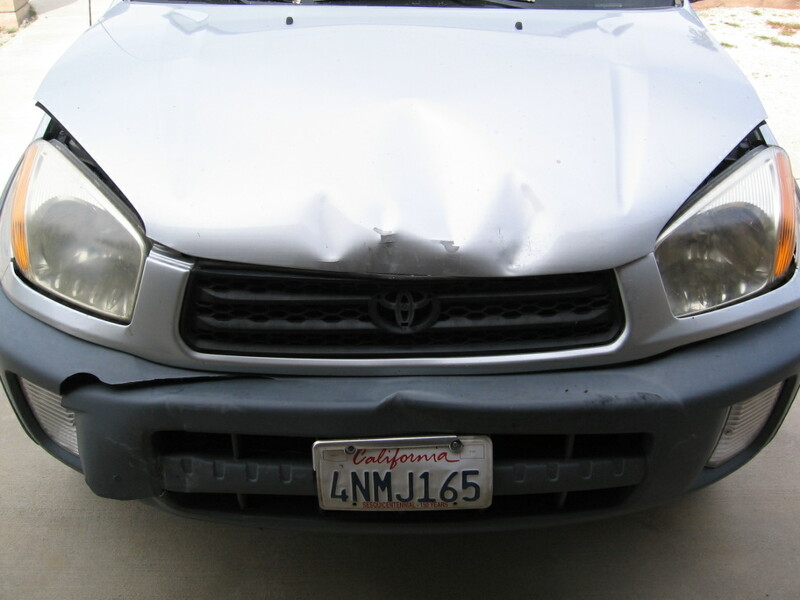 Update from Apr 15, 2019: Update from previous report Regarding Owner with 2001 RAV 4 Sudden Unintended Acceleration (SUA) Problem. 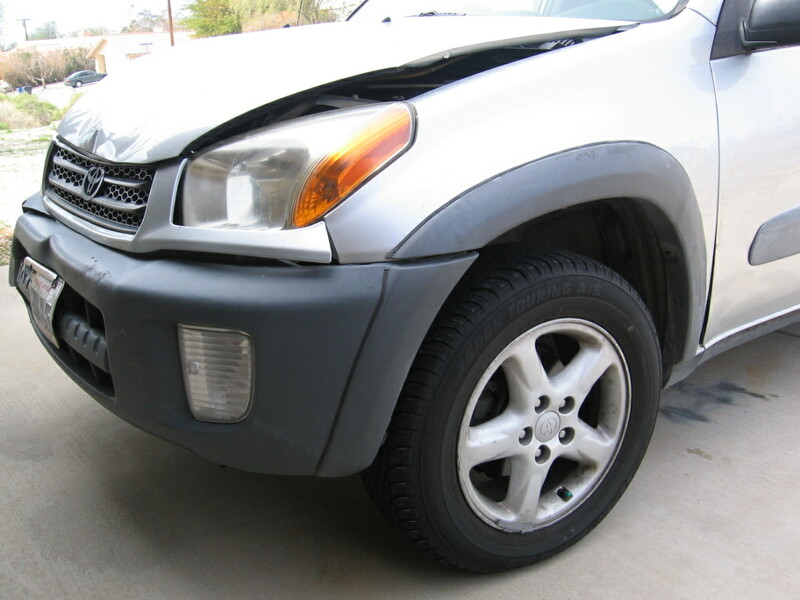 Engineer/Inspector was dispatched by Toyota Motor Company to examine the damaged (bent inward hood,damaged plastic grill, and front bumper) 2001 RAV 4. Analysis Inspector informed owner that his 2001 2nd edition RAV 4 did not have the EDR (a/k/a "Black Box") installed, implementation of EDR began with 2002 and above RAV 4 models. The inspection took 5 hours. Owner had to wait 4 weeks for results-and was expecting to receive pages of a full copy of inspection report, but only received a one page letter from the "Legal Dept" from Toyota Motor Company basically summarizing the five hour inspection into one paragraph stating everything is fine - no indication of S.U.A problems , brakes fine, etc., however stated a .75 slack in throttle cable that needs service? NO mention NOR indication in the letter regarding the inspection of or tests conducted on the Owner's ECM unit such as voltage meter current/flow tests, etc by the Analysis Engineer, since Legal Department at Toyota never sent owner a copy of the full inspection report. Owner also sited inconsistent comment in Letter from Toyota legal stating that Inspector noted "Driver side floor mat was movable" which is false, incorrect and inconsistent because Owner had stated to Inspector prior to inspection that he took pride in having original Genuine Toyota Floor Mats safely secured with Genuine Toyota Retaining Floor Hooks. Owner also had pictures taken of interior floor mats secured with Toyota hooks in good condition and sent pictures that were archived in Owner's Accident report file with his Car Insurance Company PRIOR TO Toyota Analysis Engineer's inspection of his RAV 4. Owner has requested a full copy of the Engineer's inspection report and awaiting for response from Toyota Legal about his request. Owner questions why Toyota Legal Department had not included a complete copy of the five hour inspection report- as a courtesy, for the Owner - particularly sighting the inconsistent and odd comment that the Inspector had included about the floor mat "movability"? Letter from Toyota Legal Dept. concluded stating sorry about the accident with no offer of ECM replacement - nothing. 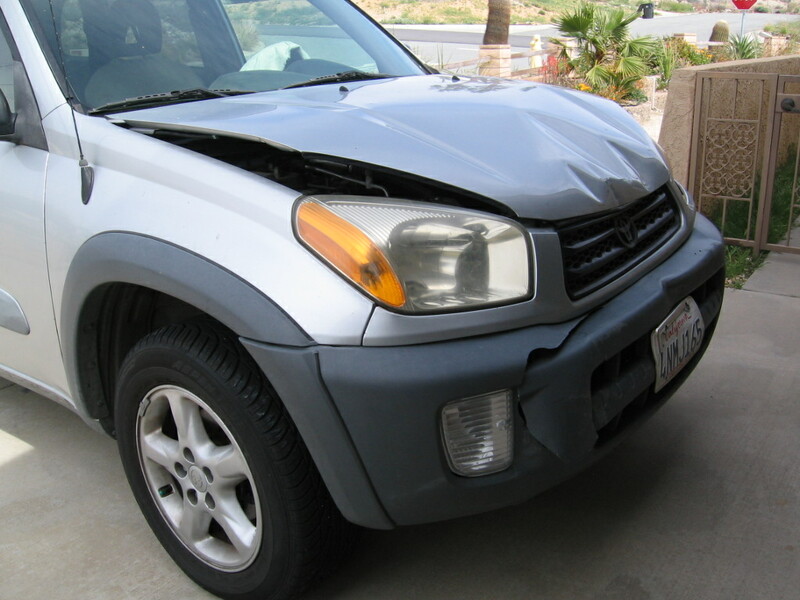 The Sudden Unintended Acceleration issue still remains an issue with no resolution from Toyota due to incomplete information and failure of Toyota Legal for not sending Owner a full complete copy of the full report that was conducted nor any mention of the ECM inspection and condition, which was the main issue in the notifications sent by Toyota regarding his VIN number /2001 RAV 4 Model several years ago. Owner still has the original ECM unit in his RAV 4 which Service Department only "reprogrammed the logic" which never fixed but increased problems with shifting and sudden RPM accelerations when stopped at signaled intersections, drive thru bank teller ATM's, etc. ECM was never replaced. Owner will continue to pursue his request to Toyota to fulfill original SSC and ZTL notices owner had received from Toyota regarding his VIN number to cover all costs and labor to REPLACE his ECM Unit and NOT do another "REPROGRAMMING LOGIC" attempt. As of 4/2019 NO FIX NOR SOLUTION from Toyota and NO Copy of Report has been sent to the owner to have an opportunity to peruse Toyota's appointed Engineer's findings. Will continue to update for other Toyota owner's with SUA/Shifting problems with RAV 4's, etc. and to show the process Toyota Motor Company responds to unresolved issues from customers/owners of Toyota products.